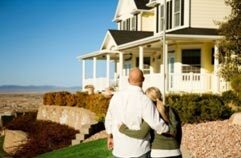 Whether you are moving to a new home or purchasing your very first home, an FHA insured loan from FHA Home Mortgage Loan Company will let you fund your dream home with a low down payment and flexible guidelines. Because FHA loans use no income limits or credit scoring, many people who can afford the monthly mortgage payments and have reasonable credit will qualify. We can help you find the perfect first home or your larger dream home for your growing family! Apply now to begin the journey towards homeownership! Problems in the Middle East, the domestic economy combined to push mortgage rates lower in the past week. The benchmark 30-year fixed-rate mortgage fell 12 basis points to 7.01 percent, according to the Bankrate.com national survey of large lenders. If the lack of funds for a down payment is the only thing stopping you from taking advantage of this, there are ways of getting zero down home loans. Take advantage of these programs and lock in your rate NOW! Conventional Loans For the first time, a large number of lenders have begun offering 100% financing at near-market rates to conventional borrowers. These no money down mortgages are targeted toward people with good credit but not a lot of cash. While the rates are only slightly higher, these loans come with much higher private mortgage insurance (PMI) that will make a noticeable difference in the monthly payments. Federal Housing Administration (FHA) FHA programs have easier qualifying guidelines and they allow a home purchase two years after a bankruptcy and three years after a foreclosure, in addition to allowing higher debt ratios than other home loan programs. The following are some of the zero down loans offered by FHA: • CHDAP - 100% financing option for first time buyers in California. • Nehemiah - 100% financing option provided by Non-profit organization. • HART - 100% financing option provided by Non-profit organization. • CHFA Loans (CHAFA) - 100% financing option for first time buyers in California. • Access 2000 - 102% financing option for first time buyers. Are you looking to buy a home without having to pay lender fees? No Cost Home Loans is more popular than ever. Find out if you are eligible for a no cost FHA home loan today.